A simple noise generator that features four modulators that can be used to add interest to your sounds. Each of these can work as an LFO, a follower, a MIDI/audio-triggered ADSR envelope, a pitch detector or a combination of the above. A plug-in that enables you to morph between soft-knee compression and waveshaping as you see fit. You also have pre-/post-emphasis filtering (similar to a sidechain filter) and an "analogue-like" attack. Given its name, it won't surprise you to learn that Modulator features an LFO that can be used to create many effects including flangers, phasers and ring modulators. You have a sizeable choice of waveforms and envelopes, while the effect can be synced to BPM or work to a 'freeform' tempo. 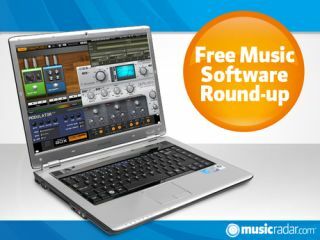 Many DAWs now come with their own guitar pedal emulations included, but if yours doesn't or you're looking for a free alternative, step this way. You get 19 pedal models, plus two amps, seven speaker models and three rack units. You can mix and match them or let the presets do the work for you. Three drum sound generation plug-ins: BDX gives you kicks, SDX does snares and HCX is designed for hi-hats. Each of these rack-based devices has a selection of tone-shaping controls.